Canada won Group B perfect after a fourth consecutive victory at the2016 CONCACAF Girls’ Under-15 Championship, this time scoring six times against El Salvador on Saturday 13 August. Canada had already qualified for the Quarter-Finals, but they are now promised to face the winner of Group D either Barbados or Curaçao. 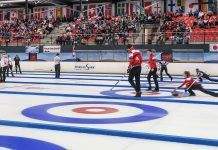 Canada will play in the knock-out phase on the morning ofWednesday 17 August at the ESPN Wide World of Sports Complex in Orlando, FL, USA. 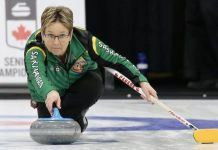 Canada’s opponent will be confirmed on Sunday 14 August after Group D wraps up the group phase of the competition. Both Barbados (six points, +11 goals difference) and Curaçao (six points, +9 goals difference) sit tied at the top of the table, so the winner of their Sunday head-to-head group finale will advance to face Canada. Three different players scored in Canada’s victory on Saturdaymorning, with three goals scored on either side of the half-time whistle. Sydney Kennedy scored three (18′, 27′, 39′), Teni Akindoju scored two (27′, 42′), and Lara Kazandjian scored one (52′). Goalkeeper Kat Haarmann posted the clean sheet. With four matches in five days, all 18 players have had the opportunity to see action and get rest, with each player also starting at least one match. The matches have all been played in the morning in the Orlando summer heat, with each match 70 minutes in length. With the Saturday win, Canada’s combined record across CONCACAF’s three youth competitions in this cycle is 10 wins, one draw, and three losses in 14international matches (2015-16). In Orlando, Canada has posted wins against Venezuela (6:0), Costa Rica (2:0), Jamaica (5:0), and El Salvador (6:0). Ten different players have scored for Canada: Sydney Kennedy (six), Teni Akindoju (four), Jordyn Huitema (two), Mya Jones, Lara Kazandjian, Maya Ladhani, Jayde Riviere, Aaliyah Scott, Caitlin Shaw, and Julianne Vallerand. At the 2016 CONCACAF Girls’ Under-15 Championship, the 23 nations are divided into five groups: three groups of five nations (Groups A-C) and two groups with four nations (Groups D-F). The first three groups will qualify two nations to the Quarterfinals while the last two groups will qualify only one nation to the Quarterfinals. The group phase is 9-15 August followed by the Quarter-Finals on 17 August, the Semi-Finals on 19 August, and both the match for 3rd place and Final Match on 21 August. Canada are defending champions in this age group from two years ago. Since 2004, Canada have won four CONCACAF women’s youth championships: twice at the U-20 level (2004, 2008), once at the U-17 level (2010), and once at the U-15 level (2014). Canada’s roster features players born 2001 or 2002 as part of Canada Soccer’s Women’s EXCEL Program. Beyond this year’s U-15 competition, these players will be eligible for CONCACAF and FIFA U-17 competitions in 2018 as well CONCACAF and FIFA U-20 competitions through 2020. The younger players born in 2002 will be eligible for CONCACAF and FIFA U-20 competitions through 2022. Canada Soccer Women’s National EXCEL Program, presented by Bell, brings together the best with the best at the national youth level. 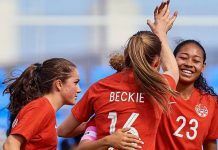 Operating across the U-14 to U-17 and U-18 to U-23 age groups, the program is designed to deliver an aligned talent structure and system that progresses more top players to Canada’s Women’s National Team. Previous articlePhoto Gallery Of The Shamrocks Game Last Night …Enjoy !